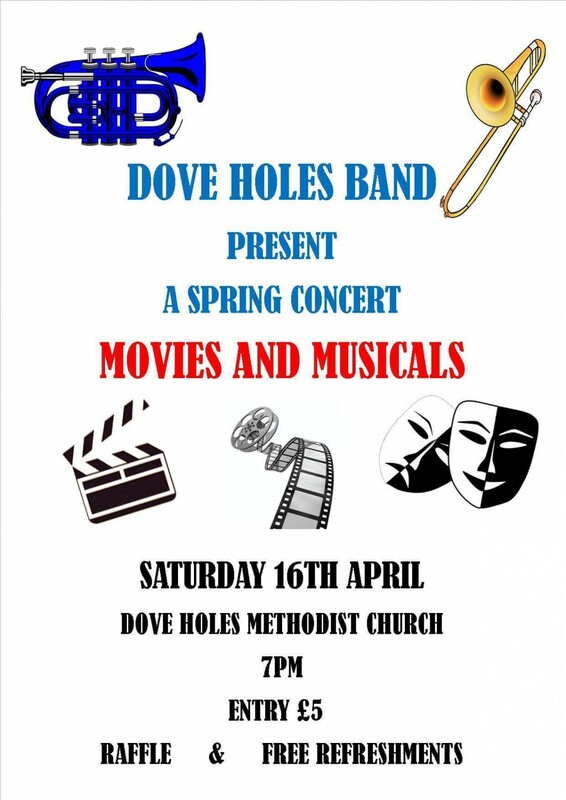 Dove Holes Brass Band is hosting its first concert of the season at Dove Holes Methodist Church next Saturday (16th April) from 7pm. Entry is £5 and with free refreshments. We’ll be playing a range of music from different movies and musicals.